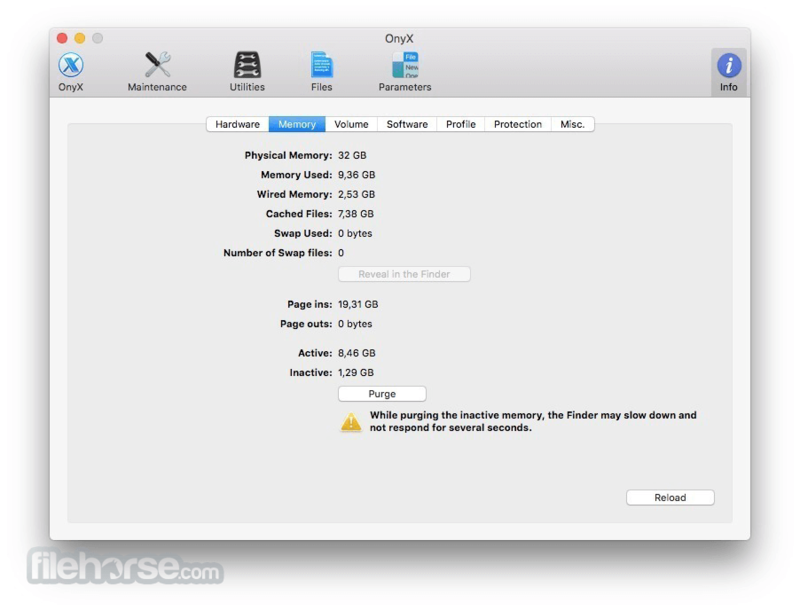 OnyX is one of the best free utilities for maintenance, personalization and optimization of your MacOS. 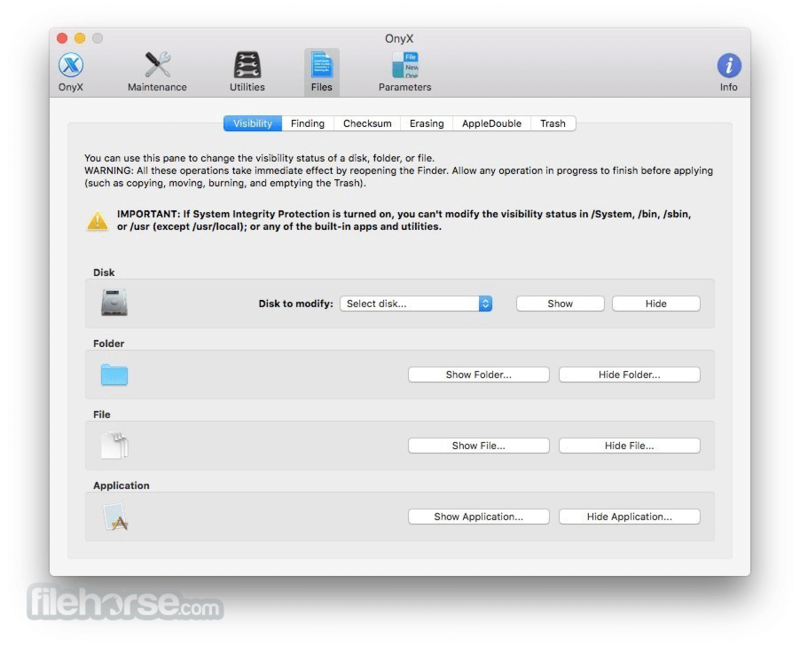 Not only that it is capable to run countless miscellaneous tasks of system maintenance, but it enables you to easily find and tweak many hidden parameters of Dock, Dashboard, Safari, Expose, Disk Utility and Finder. 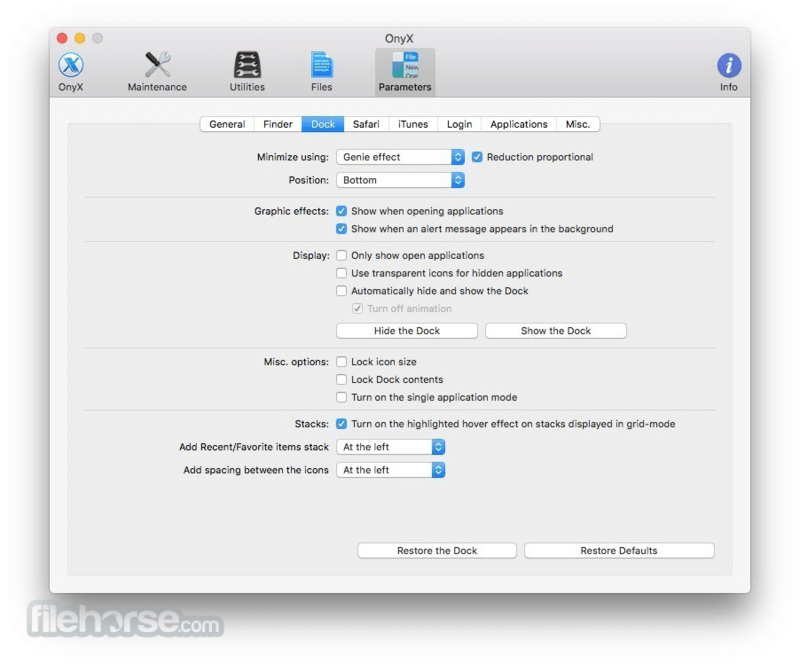 After just few minutes spend optimizing your Mac with OnyX, not only that you will be able to optimize many aspects of your daily computer usage, streamlining the way you work certain things and increasing your productivity, but also making your Mac run faster and enabling it to run longer on your if you prefer using laptops. Some of its most popular options are without a doubt ability to preview logs, CrashReporter reports, countless hidden parameters of system, and removal or unused and large files or directories. All of the functions of this app are accessible via highly-intuitive interface that features eight main tabs filled with countless OS tweaks – Verify, Maintenance, Cleaning, Utilities, Automation, Parameters, Log and Info. 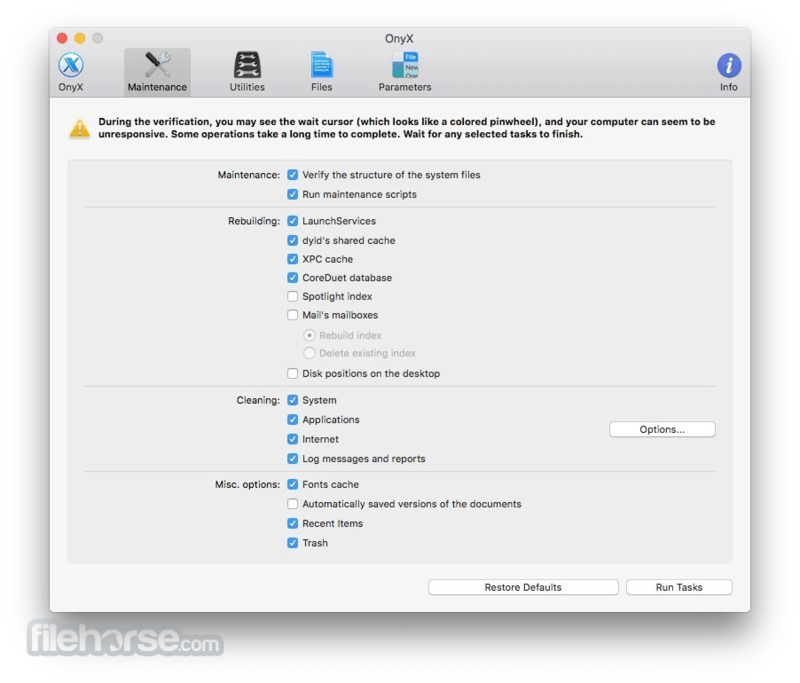 Parameters section is especially useful, enabling you to tweak core functions and services of many of basic Mac OS X apps that everyone uses countless times every day. With all this power at the tip of your fingers, OnyX for Mac definitely represents best possible way to control your system from most obvious tasks and easy tasks to deeply hidden options that were before accessible only to professionals (for them app also offers access to powerful command line that can be used to run scripts and automated commands).